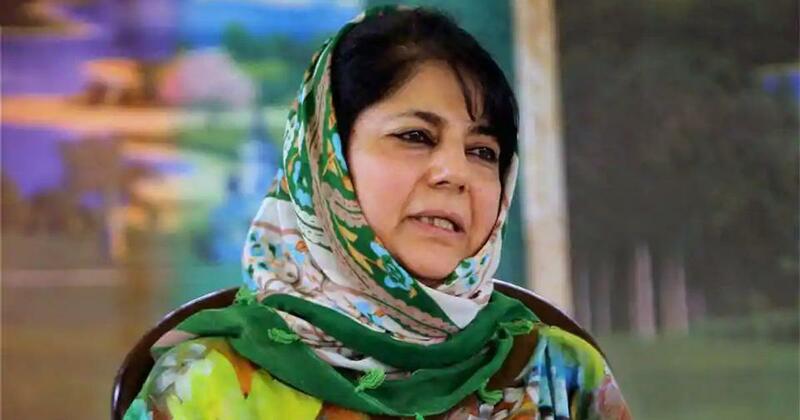 The former Jammu and Kashmir chief minister revisits her alliance with the BJP, the Kathua case and the state’s brutal response to Azadi protests after 2016. On August 31, the Supreme Court will hear challenges to Article 35A of the Indian Constitution which guarantees special protections and rights to residents of Jammu and Kashmir. As a clutch of pleas threatens these protections, the Kashmir Valley is up in arms, roiled by protests and shutdowns. The state was already plunged into uncertainty. 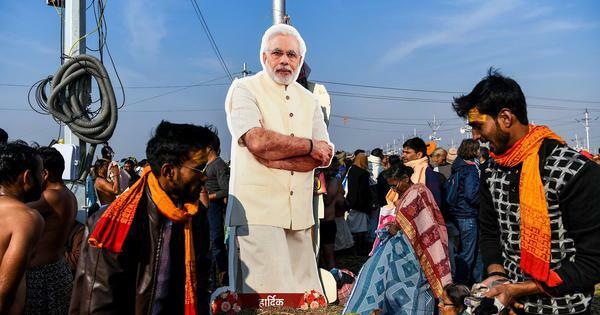 It was placed under Governor’s rule earlier this year after the Bharatiya Janata Party broke its coalition with the People’s Democratic Party, felling the government. Rumours of a new government being formed now swirl in the Valley even as the People’s Democratic Party battles an internal rebellion. How does your party view the anxiety around Article 35A? If any tinkering with the provision does take place, what will be your course of action? I do not think anything adverse is going to happen. If it does happen, for people like us who uphold the Indian Constitution, of which Article 35A is a part, it is going to be very difficult to uphold the national flag. If the government of India decides to dilute Article 370 and Article 35A, I think the space for everyone [and not just mainstream politics] is going to shrink. Every significant political force in Kashmir, from the different factions of the Hurriyat to the National Conference and the People’s Democratic Party, seems united on Article 35A. How do you view this development? Once we entered into a coalition with the Bharatiya Janata Party in 2015, we had them agree, in the Agenda of Alliance, that the constitutional position of Jammu and Kashmir would not be fiddled with. I find it satisfying that all parties, whether mainstream or not, have got together. Even a BJP MLA from Jammu has spoken in favour of Article 35A, and a group of lawyers as well. This is very gratifying. This is what we have. We may be struggling and fighting for more powers and more rights, but what we have for now, we need to protect. Whatever it takes. In an interview with me, your father had described the PDP-BJP coalition as a “paradigm shift”. Your brother Tasaduq Mufti has since called it a “partnership in crime”. Three and a half years have passed since your party allied with the BJP. What is your assessment of it now? At every public rally, my father [the late Chief Minister Mufti Muhammad Sayeed] would say he was not hankering after power, that he wanted to put an end to the bloodshed. We would say to him if you tell people you don’t want power, no one would vote for us. But he would say since the time of Sheikh Mohammad Abdullah, Bakshi [Ghulam Muhammad] Sahab and [Ghulam Muhammad] Sadiq Sahab, roads and buildings have been constructed, but the developmental work has not resolved the Kashmir problem. He wanted to play a role in Kashmir’s resolution process. How would you respond to criticism that during the 2014 Assembly election campaign, you told people to vote for the PDP to keep the BJP at bay but then ended up forming a government with them? Isn’t this doublespeak? It is something that is wrong. It is very sad. I was the one fighting to keep the BJP at bay, but the mandate of the people was such that we tried to make the best of it. Primarily, we wanted to take [Atal Bihari] Vajpayee ji’s legacy forward. Second, Jammu had voted enmasse for the BJP and you could not keep the people of Jammu out of power. That would have created situations which we would not have been able to deal with. Having said that, the people of Kashmir have a right to be angry with me and our party. Mufti Sayeed said after the PDP stitched a partnership with the BJP you did not speak to him for a couple of days in anger. Is it true? Don’t you think that you had many opportunities to walk away from the alliance but you chose not to? See, we had taken such a huge risk by forging an alliance with the BJP. So it was not easy to break the alliance in a jiffy. Yes, I agree that there were a couple of instances when I was ready to pull out. One instance was with regards to Article 35A. I could see the attorney general was not behaving in the manner that he was supposed to. So, I went to the prime minister and the home minister and told them clearly that I was going to pull out if Article 35A was tinkered with. It was either around 2016-end or early 2017. The second instance was when all that talk about drugs coming on the Srinagar-Muzaffarabad bus started. The bus service was halted for some time. That was the moment when I thought that if they stopped the trans-Kashmir bus service under any pretext, it would mean they didn’t want to do anything. The third was the Rasana case [where an eight-year-old girl was kidnapped, allegedly raped and then murdered in Jammu’s Kathua district]. I met the prime minister and told him that his people [two BJP legislators had participated in meetings organised in support of the accused] were not behaving properly. He seemed upset. But still the BJP ministers continued. Then, I called Amit Shahji and told him to drop those two ministers because there was no other way. Moreover, on the Ramzan ceasefire and the continuation of dialogue, there was a lot of discomfort in the BJP. It might sound pompous, but I did not compromise any time while our party was in alliance with the BJP. Would you agree that you joining hands with the BJP was an unpopular decision in Kashmir? Indeed. It was an unpopular decision. Not only for us but for the BJP as well. What makes you think the BJP is trying to break your party? What were your apprehensions when you stated that if the BJP did so, it would spell disaster? See, after a lot of hard work, the faith of the people in the electoral process has been restored in Kashmir. You are aware what happened in the 1987 election [widespread rigging]. That was the worst thing that could have happened. If you have one or two MLAs leaving you, you understand. But if the BJP is claiming that 15-60 people [People’s Democratic Party legislators] are with them, it is obvious it cannot happen unless you indulge in horse trading. It can’t happen without Delhi’s involvement. It can’t happen without involvement at the highest level. If they are trying to discredit the democratic system once again, it may have far-reaching consequences. What was your toughest period as chief minister? I have seen very tough times right from 1996. Militancy was at its peak then. You know, you could not get anyone to contest from Bijbehara constituency. Militants were everywhere. I was attacked so many times. But having said that, I think the last two years and two months were the hardest of my life. Do you mean that Hizbul Mujahideen commander Burhan Wani’s killing on July 8, 2016 was the turning point? Becoming chief minister was something that I was not comfortable with, but I did it because my father had made a commitment to his people. After July 8, all hell broke loose. There were protests. There were attacks. Young kids were pushed to the forefront. We had to use guns, pellets guns and everything. I had never imagined in my life that this was going to happen during my tenure as chief minister. In retrospect, do you regret some of the controversial statements you made about the civilian killings at that time? I definitely regret making certain statements that hurt the sentiment of the people. I was more angry than frustrated. Angry because I would wonder how any parent could allow their kid to go out in such a tense situation. It was not as if you were participating in a peaceful protest. In that situation, if my child wanted to go out and buy something from the market, I would think 10 times about the safety of my child. Actually, my anger was the anger of a mother. I have rescued Kashmiri kids from Army camps who had been forced into bonded labour, ordered to cut grass. I would fight with the Army and rescue the boys. Even when the Army and the Special Task Force [the police’s counterinsurgency unit] had to construct new sand bunkers, they would force schoolkids to do their work. I have got sandbags off the heads of schoolkids. And these very kids, who would probably have participated in my public rallies while holding the hands of their mothers and fathers, were getting blinded and killed. How could people do that to me? When I fought the 1996 election, I was like any Kashmiri girl. I had no idea what an Army camp looked like. I would not even think about entering an Army camp. But then I did, to get young boys out. So, I did not expect this from my people and they didn’t expect from me what happened in 2016 and 2017. There were mutual expectations. As former chief minister, what would say to those parents in your core constituency who lost their children in 2016, 2017 and 2018? All I can say is, please forgive me...if you can. I was the chief minister when the killings happened, and it does not matter why and how it happened. It is difficult for someone to forgive when their family member is killed. I would also appeal all parents to please take care of your kids. Don’t allow them to become fodder. We have information that once the crowds would assemble and some people with agendas would see kids as part of the crowd, they would retreat and let younger ones be at the forefront. July 8 was the lowest point in my life. Afterwards, there were only lows and lows. There was no accountability because the entire focus was on maintaining law and order...how many were killed and what happened where. Once the low of July 8 started, I was not myself anymore. I was already emotionally broken after my father’s demise and then my soul was hurt by what happened after July 8. Do you feel the Hurriyat and Pakistan are stakeholders in the resolution of the Kashmir dispute? Of course, they are. When everyone seems to be shouting from the rooftops that Pakistan is behind infiltration, that Pakistan has been meddling since 1947, that one part of Kashmir lies with Pakistan, that means Pakistan has stakes. Moreover, Hurriyat represents the political sentiment in Kashmir. You need to take them on board. As far as the mainstream parties are concerned, we can contribute by acting as facilitators. Pakistan has a new prime minister now, Imran Khan. He is making all the right noises, saying if India takes one step towards improving relations, Pakistan will take two. What do you make of it? More important is how Delhi responds to him. We have seen how people, especially in the media, have been trying to belittle Imran Khan, saying he is the army’s proxy while forgetting that the best agreements with Pakistan have been possible with the help of the military leadership there. You often taunt the Hurriyat arguing that Kashmir’s Azadi is an unrealistic dream. But New Delhi, during Vajpayee’s tenure as prime minister, rejected the autonomy resolution passed by the Jammu and Kashmir Assembly in 2000. Also, there are no takers for your party’s self-rule formula in Delhi. We need to move forward, not backwards. If you can’t change the borders you can make them irrelevant. Let Kashmir become the hub of SAARC. Why can’t we become part of the China Pakistan Economic Corridor? After all, the corridor goes through our belly. Let Kashmir become a free economic zone where you have banks from all over the world. You have to engage the youth. Instead of only talking about autonomy or nomenclature, calling the chief minister “PM” and the governor “Sadr-e-Riyasat”, you need to take it to a level where everyone is benefited. If our roads leading to Central Asia open, Ladakh benefits; if the Suchitgarh route reopens, Jammu benefits; Kargil and Skardu benefits if that road is opened.